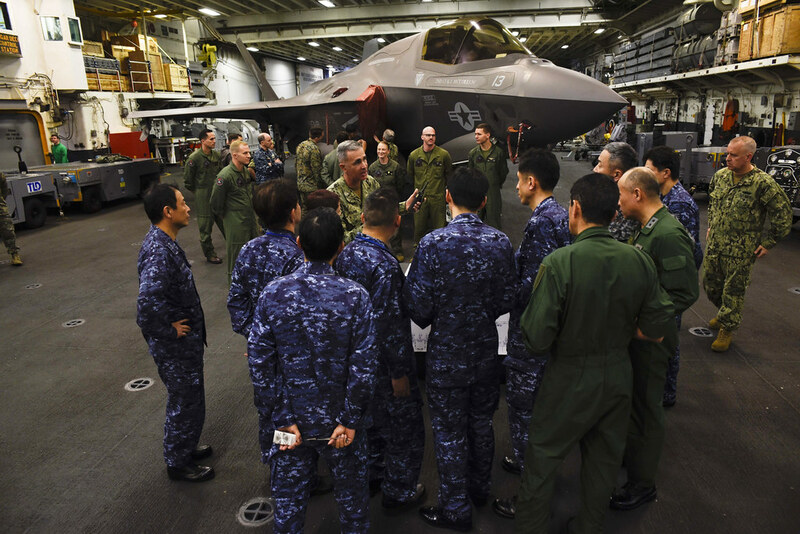 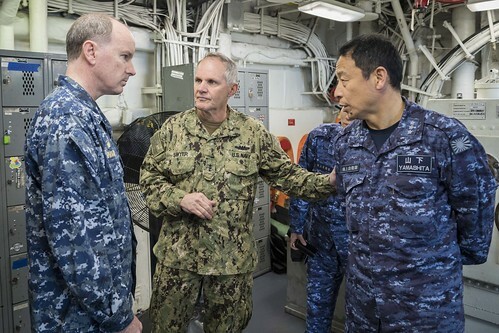 EAST CHINA SEA - The commanders of U.S. 7th Fleet and the Japan's Self-Defense Fleet visited the amphibious assault ship USS Wasp (LHD 1), Feb. 5, to observe the Wasp Amphibious Ready Group (ARG) and 31st Marine Expeditionary Unit (MEU) operations at sea. 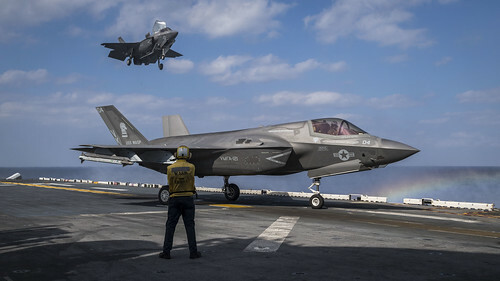 The Wasp ARG, 31st MEU team is a mobile and lethal force capable of multiple mission areas including non-combatant evacuation operations, humanitarian assistance/disaster relief, visit board search and seizure, tactical aircraft recovery and full amphibious warfare. Wasp, flagship of the Wasp ARG, with embarked 31st MEU, is operating in the Indo-Pacific region to enhance interoperability with partners and serve as a ready-response force for any type of contingency.